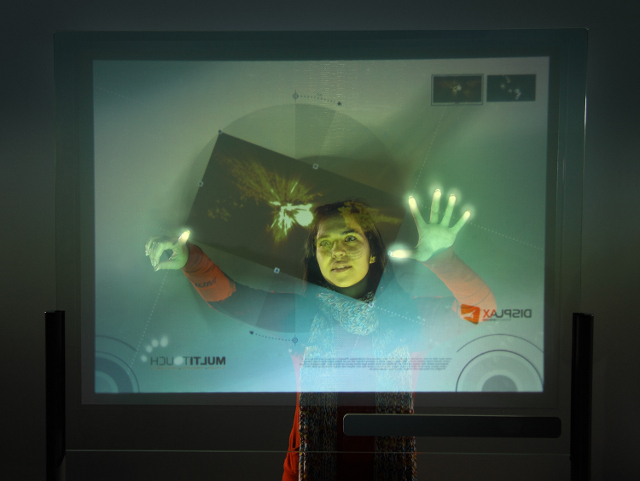 Displax’s multi-touch technology can detect up to 16 fingers at once and can also detect air movement. I just have to say that Displax has a unique vision for humanity's evolution: 16-fingered asthmatics with the need to touch everything. Charming. An interactive hardware company called Displax has begun marketing Skin, a paper-thin, flexible film that would transform any non-metal surface into an interactive touchscreen. You could place Skin on any surface, transparent or opaque, flat or curved, and use it to display any interactive content you like. Displax’s multi-touch technology can detect up to 16 fingers at once and can also detect air movement. The future is now, Tor! NOW!!! In other news, sexual harassment cases between humans and AIs are increasing.